Reading Until Dawn: Promo Post + Giveaway: Champions of Power by Samuel Odunsi Jr.
Promo Post + Giveaway: Champions of Power by Samuel Odunsi Jr. The Blessed Galaxy has no other name. After being gifted with the Auras—five great powerhouses of celestial creation—the title was a suitable fit. For millennia, the governing bodies have ruled their respective reaches of the Galaxy while harnessing the might of the Auras. But now they face the threat of a calamity, from an unlikely source, that could shake the lives of all. Lowen Sars, a devout man of science, decides to take on the burden of saving the Galaxy’s people once he learns of the calamity. But he soon realizes that the role of a hero was a calling not meant for him, even with his sudden promotion. 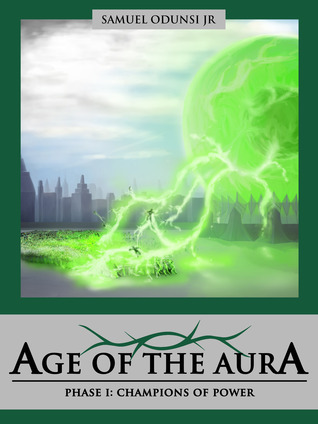 In his process of self-discovery, Lowen begins the fateful saga of not only the Blessed Galaxy, but also the kingdom in possession of the corrupt Aura. Read more behind the story here! 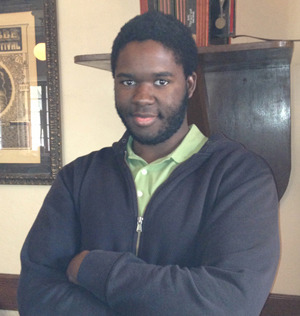 About The Author: Samuel is an American-born child of Nigerian immigrants with a unique upbringing. His various influences in martial arts, movies, television, and literature over the years have helped him develop his story, Age of the Aura. With his different perspective, Samuel’s hope is to bring an original science fiction tale to those that enjoy the genre. The Indie Book Review A Book So Fathomless - "3.5 out of 5" Beth Art From the Heart - "4 out of 5" Voracious Reader - "3 out of 5" Sadie S Forsythe -"3 out of 5" Nik's Picks - "4 out of 5" Dee's Reads -"3 out of 5" My Cozie Corner - "5 out of 5" Confuzzled Books - "4 out of 5" Cheryl's Book Nook - "4 out of 5" The Guide to Good Books - "5 out of 5" Paranormal Sisters - "3.5 out of 5" Books With Leti Del Mar - "3 out of 5"
Giveaway ends July 24, 2013.